home » News » How to set the HDMI encoder Resolution Video Bitrate when you streaming? How to set the HDMI encoder Resolution Video Bitrate when you streaming? * Please note 60 FPS streaming (or anything greater than 30) is not supported at this time. Many end users viewing on typical computers and mobile devices will not be able to properly decode 60 FPS streams and this can result in playback issues. In addition, it is recommended to share with your IT department our article onopening firewall ports for Ustream broadcasting and viewing.. When choosing your encoding settings you should take into account your upload bandwidth. You should first test your bandwidth to Ustream’s servers by using Ustream’s Network Test Tool. An alternative to Ustream’s network test tool is to do a generic speed test, such as the one at speedtest.net,but Ustream’s test is preferable because it shows you the actual bandwidth to Ustream’s servers, and that is the bandwidth you will be working with. A good rule of thumb is for the bitrate of your stream to use no more than 50% of your upload bandwidth capacity on a dedicated line. For example, if the result you get from the Ustream Network test tool shows that you have 2Mbps of upload speed available, your combined audio and video bitrate should not exceed 1Mbps. To stream in HD, you’ll want at least 3-8Mbps upload speed available. If you find that your stream frequently rebuffers, pauses, or disconnects, try using a lower quality preset in Ustream’s web broadcaster or Ustream producer, or using a lower bitrate and resolution on your encoder. 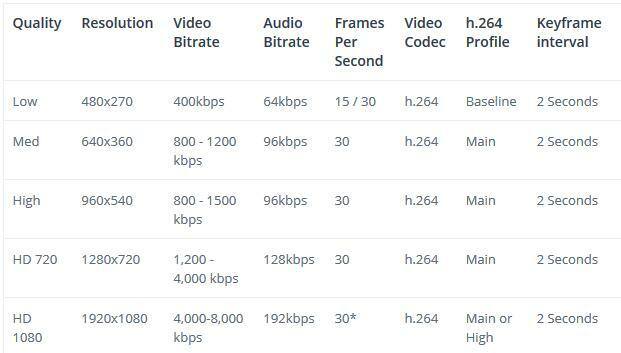 Many popular encoders on the market use variable bitrate encoding. With a variable bitrate encoder, when you set a bitrate, you are only setting a target. Depending on the level of motion in your video content and your keyframe interval, the actual encoded bitrate of the stream will go higher and lower than the target. This is one of the reasons why having adequate headroom in your bandwidth is so important. Higher motion content requires a higher bitrate to achieve the same perceived quality video stream. For example, “talking heads” sitting at a desk with a relatively static shot can use the lower end of the bitrate recommendations provided above, whereas a sporting event or concert with high motion and many moving cameras will typically require a significantly higher bitrate at the same resolution to have the same perceived quality. Higher resolutions require a higher bitrate to achieve the same perceived quality video stream. It is imporatnt that you use the guidelines provided in the chart above to appropriately match your bitrate to the resolution you are using. Using too high or low of a bitrate can lead to poor image quality or buffering for your viewers. If your available bandwidth is limited, you should reduce both your resolution and your bitrate accordingly. It is best to either match your original video source, or scale it down. For example, capture at 720 and stream at 720. Or capture at 720 and stream at 480. You should never be scaling up and streaming at a higher resolution than your original video source. For example, it does not make sense to capture at 720 and stream at 1080. You will have no gain in quality and you are using more bandwidth than is necessary for you and your viewers. Ustream does not actively support interlaced video. You can send interlaced video to Ustream, however doing so can result in errors in encoding and a distorted image. We strongly recommend that whenever possible you choose to send a progressive signal from your camera to your encoder. If your camera can only send an interlaced image, many encoders will have the option to ‘de-interlace’ an original source. Choose this option before sending to Ustream in order to avoid streaming issues. For more information on interlacing, please read this article. Ustream recommends h.264 and AAC. These are the most widely compatible and efficient modern codecs. They offer the highest quality at the lowest bitrates. These codecs are less efficient and of lower quality, so they are not recommended for use if you can avoid it. Ensure your encoding CPU can handle your encoding settings. HD streams and high bitrate streams take significantly more CPU resources to capture and encode. If your streams are choppy, pause and resume, exhibit encoding artifacts, are dropping frames or appear to be playing back in a lower than expected frame rate, these can all be signs that your CPU is not able to keep up with the live video encoding. Reducing the input resolution size and or reducing your stream output resolution and bitrate can fix these issues. Ustream Producer and FMLE both allow you to monitor the CPU usage and whether or not you are dropping frames while encoding. Most other professional encoding programs will do the same. Pay attention to this and lower your settings accordingly. Low frame rate streams look very bad. You are better off streaming at full frame rate at a reduced resolution, for example 640×360 vs trying to 720HD but only being able to stream at 12 frames per second. Our guidelines above are based on US video standards (NTSC) so you may need to adjust accordingly, for example the PAL standard used in many other countries uses slightly different frame rates. You should match the frame rate of your source video in the stream. At this time, streaming at 60fps is not supported. You may find you have viewing issues and increased artifacts in your recorded videos or in the transcoded versions of your stream if you stream at 60fps or anything greater than 30. Ustream recommends a keyframe interval of 2 seconds. The default setting on some encoders may be different from this, so it is recommended to adjust it to meet this requirement for optimal stream quality. 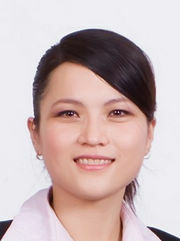 Some encoders may have settings like “auto keyframe interval” or “scene change detect.” It is not recommended to use these modes as they may result in an unpredictable keyframe interval. Sending a stream with keyframes at irregular intervals can result in degraded image quality, buffering, or other stream problems. Ustream recommends sending a single 720p HD stream and using Ustream’s cloud transcoding to deliver the lower bitrates and versions suitable for different platforms to your viewers. Ustream does support ingest of multiple bitrates over RTMP, but this is only recommended if you have ample encoding power and sufficient bandwidth to do so. At this time, Ustream does not support direct ingest of HLS streams. Instead, Ustream’s cloud transcoding is used to create the HLS versions from the incoming RTMP stream. For details on Ustream’s cloud transcoding and multiple bitrate streaming with Ustream, including the exact resolutions and bitrates that are delivered to desktop players and mobile devices, see our article multiple bitrate streaming with Ustream. Currently, Ustream only supports ingest of RTMP streams. Ustream delivers streams to viewers via RTMP, HTTP and HLS. If you have a IP Camera, or other device that can only deliver streams over RTSP, please see our article on using IP cameras with Ustream for hints on how to convert an RTSP source to an RTMP feed that Ustream can accept. FBE200-H.264-LAN is hot sale with a competitive price .